Insects are important organisms that are commonly found in the environment. They play a variety of roles including decomposing material, predation, parasitism and also act as pollinators. They can also be an important food resource for other organisms that we find in nature, and then in some cases, they can even be considered as a pest. To fully assess the role that these insects are playing, we need to be able to identify them accurately. Beetles – Beetles belong to the order “Coleopteran”, and is a very diverse group of insects. However, they all share some common characteristics. First is that they have two pairs of wings; the first pair of being a hardened textured wing that we refer to as a light shrub and the second pair of wings are the hind wings. The 2nd common characteristic is that they are membranous and have chewing mouthparts. Two common examples of beetles that we would find in our landscape are lady beetles and ground beetles. These are both important predatory insects. Bees – the first thing that you notice about this group is their hairy bodies and a chewing lapping mouth part, which is really for dual purposes. The chewing component which is comprised of the mandibles allows these organisms to be able to cut flowers use them for defense or wax, and the lapping component allows them to be able to obtain liquid foods such as nectar or pollen or a water source. Wasp – the wasps also have the two pairs of membranous wings; however, they have chewing mouthparts. They also have a constriction between their body parts between the thorax and the abdomen. Wasps are a threat to bees and many other insects, and can also cause harm to many parts of nature. Ants – ants are very different from the other two subgroups and the fact that most of the time when you observe an ant you are not going to notice the two pairs of wings. The two pairs of wings are going to be restricted to the reproductive groups during their mating periods. Ants like the wasp also have chewing mouthparts. Fire ants or sawflies are the type of pests that can harm the landscape. 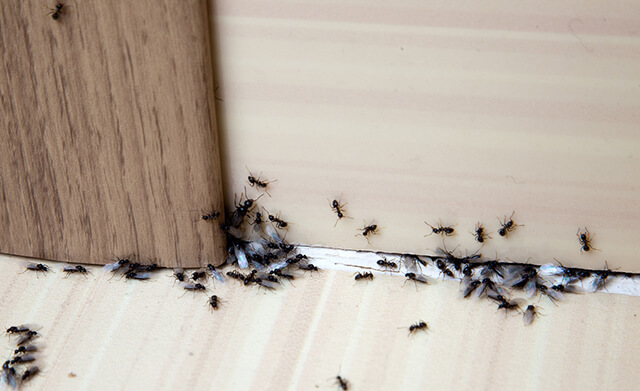 If you encounter them, it’s essential that you contact a pest control company in Singapore to eliminate them. Flies – they may look similar in appearance of certain types of wasps and bees, but the distinction is that these groups are going to have a single pair of wings and they have a modified pair of hind wings, commonly referred to as halt ears, which function to help them in balancing the front section of their body. Flies have very diverse types, ranging from sponging types that we see with house flies to a more parasitic piercing-sucking type that can carry diseases. Termites – Termites are the most dangerous bugs to a home, especially if you have many wood panels and floors. Termites can cause major damage to a home if left untreated or if not completely removed, so it’s essential to have a termite treatment company get rid of its nest if you face a termite problem in your home. Because of the diversity in bugs and their role in our environment, it is very important that we can accurately identify these insects so that we can assess their roles to know whether they might be causing damage to our plants or whether we need to try to conserve their populations.